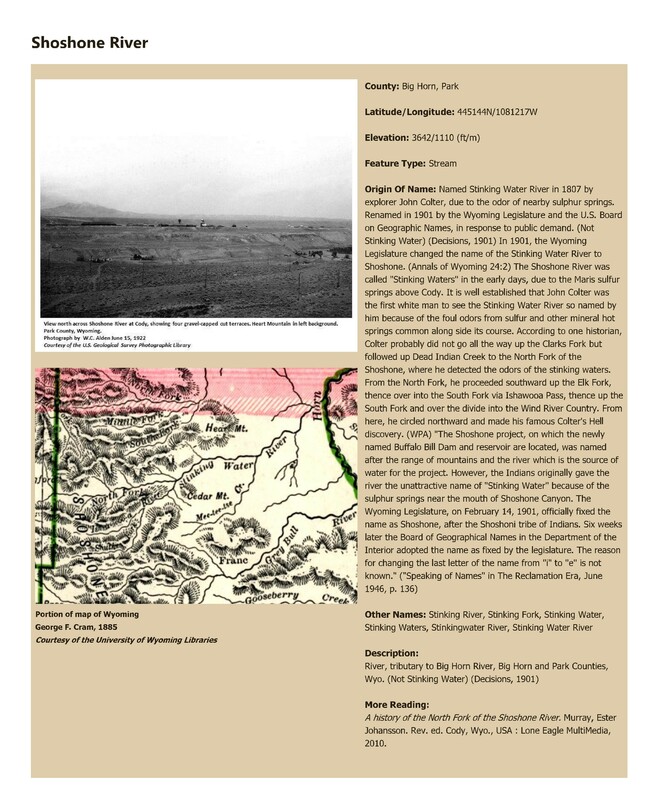 Topic: A history of the North Fork of the Shoshone River. Murray, Ester Johansson. Rev. ed. Cody, Wyo., USA : Lone Eagle MultiMedia, 2010.